It started as a dream. And frankly that’s as good an explanation as any for this unlikely amalgam of avant-bluegrass and classical chamber composition. Paul Elwood, star of the five-string banjo (he won the Kansas State Banjo Championship, has played live on MTV Europe, and is routinely heard alongside musicians of all stripes) is also a composer with top new-music credentials. The two worlds contaminate each other in ingenious and spooky ways in this new innova release, uniting the foot and the head, barn and the concert hall. “A number of years ago I dreamed that I was hiking in the mountains above Brevard, North Carolina. I crested the ridge of a valley on a warm summer morning, and saw a dilapidated cabin with a collapsed roof. ‘Hmm,’ I thought, ‘that’s Stanley Kubrick’s Mountain Home’ — Kubrick, of course, being the iconic American film director. I was instantly inspired to write a chamber composition structured on a Kubrick film that would utilize folk music of the Appalachians. After watching all of his films, I selected 2001: a Space Odyssey for the structure of the piece, timing scenes and dividing them proportionally to fit within the context of a 25-minute composition,” writes Paul Elwood. This release pairs interpretations of classic folk tunes (Cluck Old Hen, Old Joe Clark, and The Cuckoo’s Nest) with elaborate reworkings for banjo and chamber ensemble (here, the intrepid Callithumpian Consort under Stephen Drury). The album brings together legendary fiddler/banjoist/songwriter John Hartford (you may recall him from the Smothers Brothers Show and the Glen Campbell Good Time Hour); pipa virtuoso Min Xiao-Fen; cellist Hank Roberts (from the Bill Frisell Band); bluegrass fiddler Matthew Combs; and soprano Ilana Davidson (Grammy winner for her recording of William Bolcom’s “Songs of Innocence and Experience”). It is hard to think of a more unlikely set of individuals inhabiting such an original universe. Perhaps they were all guests at Kubrick’s imaginary hotel (not far from which — in Greeley, Colorado — Paul Elwood teaches) or were sent on a long space voyage to establish good music on distant planets. Whether you are looking for the thinking person’s stomp or an eerie-movie-lover’s shindig, this album is for black tie denim wearers everywhere. It is highly unusual, the worlds which banjo player and composer Paul Elwood brings together: bluegrass, Appalachian folk and contemporary classical music, and a few more things beyond this. Partly this is born out of the meeting point with other professional musicians. With cello legend Hank Roberts for instance who I admire as well, with whom he came to improvise on the old American folk tune, “Old Joe Clark”. This became the first track on the album. On this track is some singing included in a deep breathy bluesy voice. Its banjo arrangement is kept simple and therefore it gives Hank his own spaces, played in his typical way as an improvising talent. “In The Zone” is a commission for the Brevard (North Carolina) Chamber Orchestra with a strange contemporary melody, odd harmonic chords and filmic classical orchestrated harmonies mixed with a banjo improvisation which starts sad but becomes lighter and more driven by more harmonising melody and string accompanied harmony. Then it develops further after a few strange filmic textures with a couple of musical box sounds, to more picking lightness with plugged violin and a folkier approach, also for the orchestra, not forgetting the starting point with a small even a slightly surreal context awareness with the return to the more old movie alike filmic orchestral descriptions of the first setting. “Chuck Old Hen” is a bluegrass tune on banjo played by John Hartford and fiddle. The main title track, “Stanley Kubrick’s Mountain Home” is a dream, a vision, which Paul Elwood had for a chamber music composition that would include Appalachian music. Where in “A Space Odyssey” the main character of the movie is getting lost into a new, future destiny, Paul Elwood imagines this as the visionary world given in dedication to the banjo player John Hartford who recently passed away, including the expressions of bluegrass riding away, not sure to which world. It has of course the expected contrasts. The classical soprano Ilna Davidson leads the main vocal core, which is contributing like in a story telling setting. This has arrangements with violin, flute and strings and piano in new classical music style. Some spoken word is added, based upon a text on the moon written by Paul’s mother, found just after she died. The banjo and the violin more often take over the classical part with bluegrass and Appalachian ideas. It is Paul’s own musical world gliding between two extremes, finding a context here, without a real meeting point other than describing the world differently but still together, gliding in one direction between two opposite positions remaining side by side. This is followed by one more bluegrass traditional improvisation on fiddle and five-string banjo. The last track is a last meeting point, with Min Xiao-Fen on the Chinese pipa, Paul on banjo and Stephen Dury on piano. Here the banjo adapts itself well to the pipa, as well as to the contemporary music feel. Paul Elwood is capable of changing the world of the banjo with different approaches. He only needs some good occasion to really cross the lines between the separately developed techniques and improvisational skills. 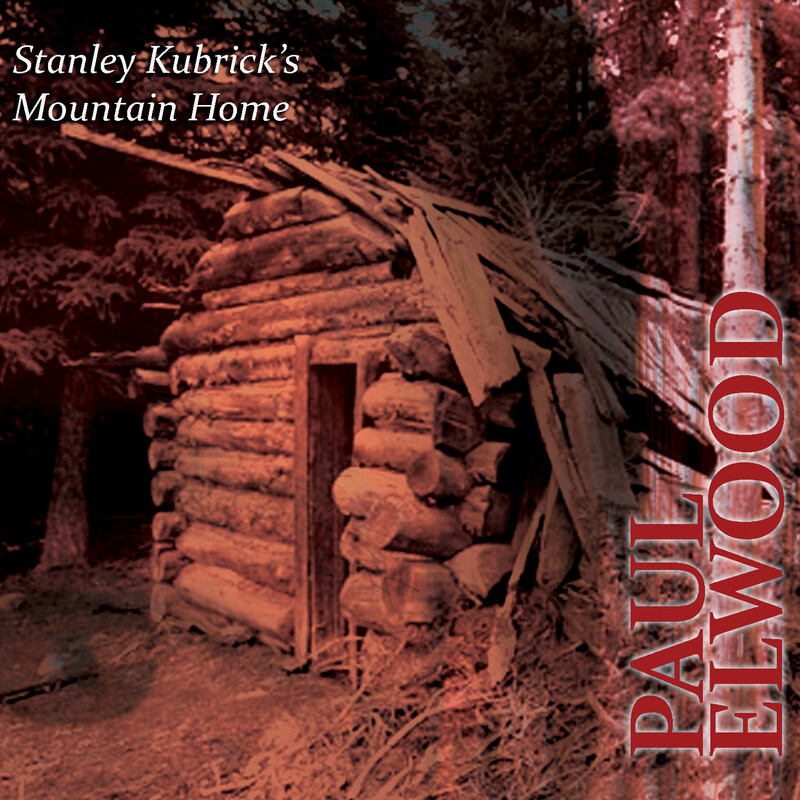 Paul Elwood Stanley /Kubrick's Mountain Home/ Innova This CD and its' composer are more than a bit of a mystery--in fact, I am completely baffled --- in a, `I can't believe he did that' good way. At first, the musical style is vaguely reminiscent of the more theatrical works of David Del Tredici or John Cogliano blending lowbrow nakedness with highbrow cerebral gymnastics. But Mr. Elwood takes it a step farther, fusing raw Appalachian Hillbilly music with the first 50 years of the 20th Century without really adjusting or accommodating either style. What ensues is the campiest of Charles Ives, dinner theatre music ever recorded--which often seems like a series of scored sketch-comedy routines strung together with wild abandon. There seems to be as little continuity in the vertical harmonic or orchestration structure as there is in the horizontal structure--which, in a good way, I say, "I can't believe he did that"!!. Never have I heard a more `compartmentalized', schizophrenic rendering of sound. The CD is broken up between simple short Appalachian folk songs played masterful by the composer and his cohorts and the before mentioned larger chamber orchestra works. In the short songs, Elwood's banjo playing is full of color, timbral surprises and strong rhythmic sense, but something is going sideways when you start hearing a Biwa jamming overtop. The first large orchestra piece,' in the Zone `, for banjo fiddle and chamber orchestra. is the least shocking of the `serious' works. It starts with drone-like orchestration, under a the fiddle solo, then banjo solo--then sudden Chinese gongs and voila! we're in a intersection of Chinese and Appalachian music in a kind of dream-like soup. Occasional giant harmonic surges from the strings become Messiaen-like underpinning for a banjo obbligato part. Then, out of the blue, a brief waltz intro from the piano becomes like a second theme, which drifts into more Messiaen-like piano writing, which veers into further 20th orchestral repertoire language.